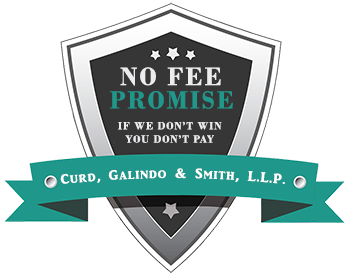 Truck Accidents Attorneys | Curd, Galindo & Smith, L.L.P. Truck accidents are often much more complicated than everyday auto accidents as usually involving more than just one truck and one passenger vehicle, involve a commercial trucking business or other business entity that may be held liable for the victim’s resulting injuries and losses. Because of the high stakes that are possible for those injured and the inherent complications involved in many truck accident claims, seeking an experienced truck accident attorney is critical to getting the compensation you desire and the recovery you are entitled to. The billion dollar insurance companies that underwrite businesses and trucking companies will commence their own investigations immediately with their clients’ interests —and their own— first and foremost. Often these investigators are representatives of the insurance companies that offer plausible deniability should they over look some evidence or facts that would be helpful to the injured or killed. Understanding these industry common tactics used by some insurance companies and paid investigators is part of what we do to protect our client’s interests. By hiring us quickly, we can conduct our own investigation including visiting the scene of the accident, photographing the scene; chasing down the vehicles involved to photograph them and collect evidence, identify witnesses and secure their statements while the accident is fresh, obtain police reports and a myriad of other chores that the trucking company and their insurers are already doing that you should be doing as well. The prospects of a significant settlement that is commensurate with the damages and losses sustained in the accident are possible with the help of a semi-truck lawyer on your side. Thankfully, the State of California requires a tractor trailer truck to carry a much higher minimum liability insurance policy than a typical passenger vehicle. Driver fatigue: Truck drivers are often compelled to work long hours by their employer, or if owner-operator sometimes break maximum driving-hours rules for financial considerations. There are federal regulations regarding the number of hours truckers can drive, but often these rules are are ignored and the mandatory logs are altered. Driving long hours leads to drowsy driving which causes numerous big rig crashed every day in the U.S. Excessive speed: Large big ring tractor-trailer trucks are difficult to stop in ideal conditions. Most accidents are on roadways that are not ideal. Excessive speed while going downhill, while on narrow roads or lanes, or on curves run the risk rear-ending or side-swiping vehicles in front of them or in parallel lanes. Poor vehicle maintenance: Semi Truck owners must properly maintain their vehicles and commercial truck drivers must inspect their trucks before every trip. Tire issues and brake failure common causes of tragic truck accidents that often involve innocent drivers in vehicles sharing the same road. Improper loading: The way a truck’s trailer(s) are loaded can have a real world impact on how the tractor-trailer rig handles, corners, and stops. Overloaded trucks are unable to stop in the distances that they were designed. Negotiating an effective settlement requires a thorough understanding of the facts of the case which are more critical than ever in big rig truck accidents with skilled and crafty opponents that might overlook or obscure evidence of what really happened. Our truck accident lawyers have the skills and knowledge to take on complex truck accident cases and have demonstrated their skills by obtained multi-million dollar settlements and verdicts on behalf of clients and their families. 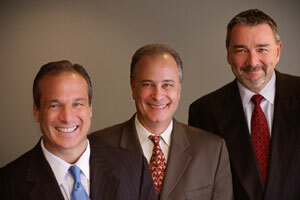 If you or a loved one has been involved in an truck accident, contact Curd, Galindo & Smith, L.L.P. 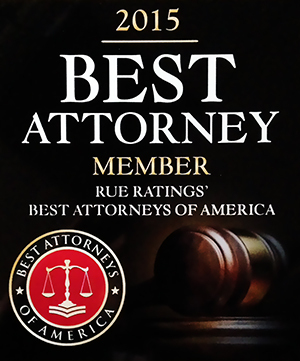 for a free consultation regarding your case.